Are Emma Stone and Justin Theroux just friends or something more? Emma Stone & Justin Theroux: LV love? A couple of weeks ago, Justin Theroux was with Queer Eye’s Jonathan Van Ness and Emma Stone on Instagram. HIS Instagram. “Arty” and “edgy” Justin is just like us, you know? When he’s hanging out with boldface names, he wants to show off about it. Emma and Justin are both Louis Vuitton ambassadors. Justin also appears on an upcoming episode of Maniac, starring Emma and Jonah Hill, directed by Cary Fukunaga, who is also friends with Justin and all of these people and names that I’ve just checked are way “artier” and “edgier”, translation “cooler”, than Jennifer Aniston. Does that just make Justin Theroux a social climber? With Emma though, there may be more. They were out for dinner last Thursday. Looks like there was at least one other friend with them. 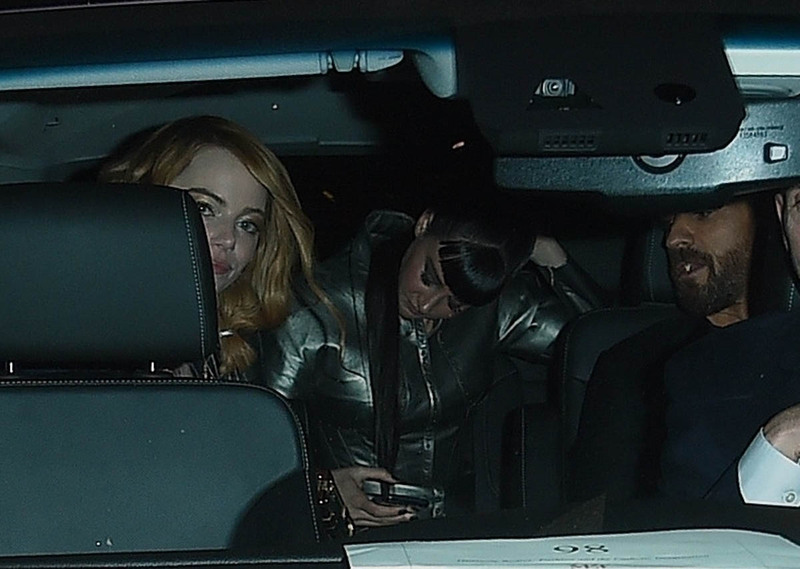 After the Met Gala, they went to Rihanna’s after-party and Shailene Woodley was with them. So…is this a just-friendship? Or a something else? Emma was dating Dave McCary, who works at SNL, as recently as early February. Since then it’s been quiet, no updates. Which doesn’t necessarily mean they’re not dating anymore given that Emma keeps her sh-t pretty tight. The fact that she keeps her sh-t tight though would suggest that if she isn’t all that worried about being seen with Justin, maybe there’s nothing going on with Justin? Not that Justin wouldn’t want to be associated with “arty” and “edgy” Emma. She definitely meets the New York criteria. Sometimes, when it comes to gossip and celebrity strategy, it’s the lesser of two evils. Andrew Garfield was also at the Met Gala. 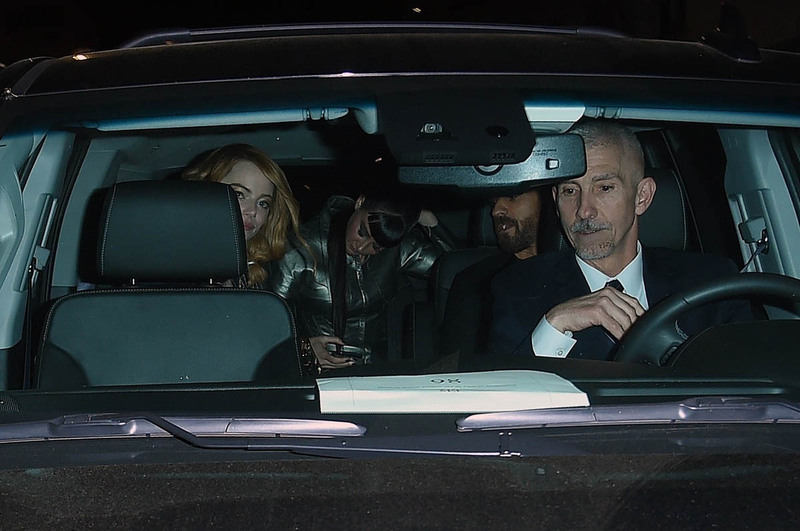 And he and Nathan Stewart Jarrett were seen arriving with Nathan Stewart to the Versace after-party with… Emilia Clarke.